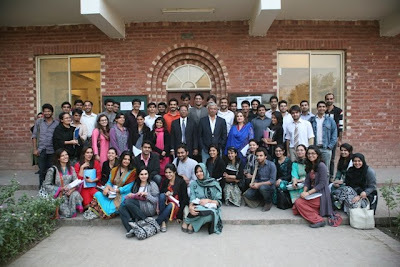 Seemi Khosa, the Senior Advisor from The United States Educational Foundation in Pakistan (USEF) gave a presentation to the Lahore School graduating BBA/BSC Hons on ‘Students on Graduate Study in the US’ on Friday, December 09, 2011. 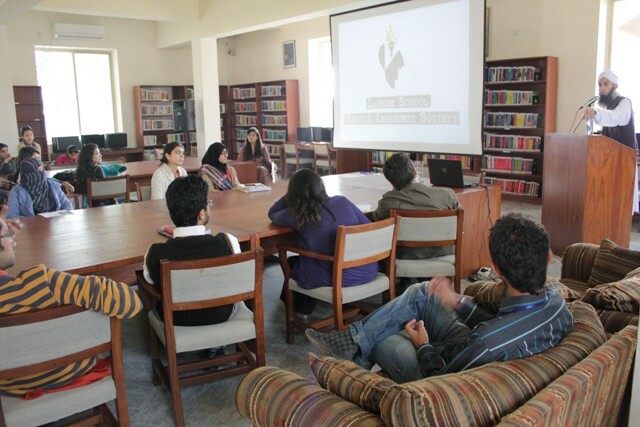 The presentation was followed by interactive questions and answers session with the students [Saman Khan]. 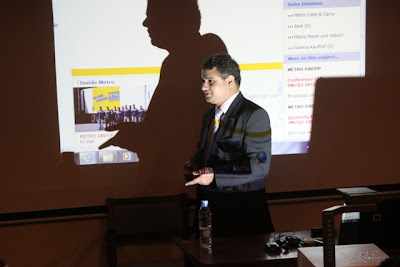 Adeel Anwar, Project Head of Human Resource Department at Metro Indonesia and Head of HR Development and Training at Metro Cash n Carry Pakistan gave a talk to the students of MBA and MSc (Economics) on Monday, November 28, 2011. 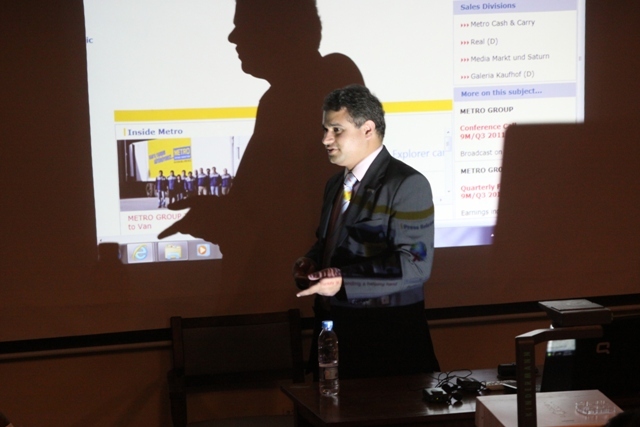 His lecture covered questions like how does the Corporate Sector assess a fresh graduate, talent Management practices for entry level positions, job opportunities for fresh graduates in Pakistan, Fareast and Middle East. 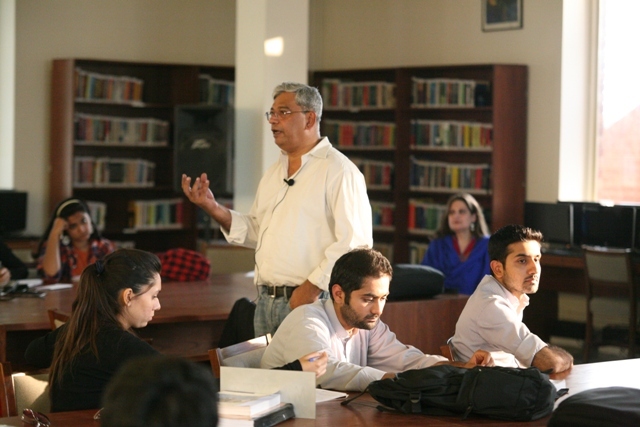 He teaches undergraduate and graduate Econometrics and Macroeconomics at the Lahore School and his research interests include Innovation and Technological Change, Institutional Economics, Economic Growth and Development, Behavioral Economics, Economic and Social Networks, Political Economy and Industrial Organization. • “Closed-form Solutions for the Lucas-Uzawa Growth Model with Logarithmic Utility Preferences via the Partial Hamiltonian Approach,” with R. Naz in Discrete and Continuous Dynamical Systems Series S, forthcoming. • “Organizational Barriers to Technology Adoption: Evidence from Soccer-Ball Producers in Pakistan,” with David Atkin, Shamyla Chaudry, Amit K. Khandelwal and Eric Verhoogen in the Quarterly Journal of Economics, 2017. • “Comparison of Closed-Form Solutions for the Lucas-Uzawa Model via the Partial Hamiltonian Approach and the Classical Approach,” with R. Naz in Mathematical Modelling and Analysis, 2017. • "Pakistan's Experience with the Pak-China Free Trade Agreement: Lessons for CPEC," with Theresa Chaudhry and Nida Jamil) in the Lahore Journal of Economics, Vol. 22 SE, 2017. • “On the Origins and Development of Pakistan’s Soccer-Ball Cluster,” with David Atkin, Shamyla Chaudry, Amit K. Khandelwal and Eric Verhoogen in the World Bank Economic Review, 2016. • “A partial Lagrangian method for dynamical systems”, with R. Naz and F. M. Mahomed in Nonlinear Dynamics, 2016. • Does genetic proximity to high growth countries affect a country's own growth? with Rabia Ikram in Economic Modelling, 2016. • "A Panel Data Analysis of Electricity Demand in the Pakistani Industrial Sector,” in Energy Sources Part B: Economics, Planning and Policy, 2016. • “Innovation in the Textiles Sector: A Firm-Level Analysis of Technological and Nontechnological Innovation,” with Waqar Wadho in the Lahore Journal of Economics, Vol. 21 SE, 2016. • “Markup and Cost Dispersion across Firms: Direct Evidence from Producer Surveys in Pakistan,” with David Atkin, Shamyla Chaudry, Amit K. Khandelwal and Eric Verhoogen in the American Economic Review, Papers and Proceedings, 2015. • “The effects of external migration on enrolments, accumulated schooling and dropouts in Punjab,” with Rabia Arif in Applied Economics, 2015. • “A Partial Hamiltonian Approach for Current Value Hamiltonian Systems,” with R. Naz and F. M. Mahomed in Communications in No Science and Numerical Simulation, 2015. • “Beyond the Poverty Line: A Multi-dimensional Analysis of Poverty in Pakistan,” with Theresa Chaudhry, Muhammad Haseeb, and Uzma Afzal, in Rashid Amjad and Shahid Javed Burki (ed.) Pakistan: Moving the Economy Forward, Cambridge University Press, 2015 and earlier version of the chapter is available at: “Beyond the Poverty Line: A Multi-dimensional Analysis of Poverty in Pakistan ,” with Theresa Chaudhry, Muhammad Haseeb, and Uzma Afzal, in Rashid Amjad and Shahid Javed Burki (ed.) 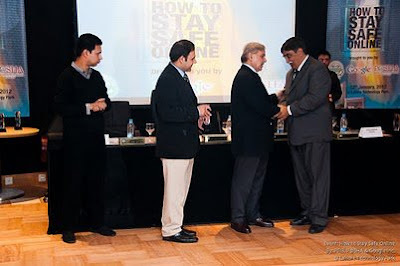 Pakistan: Moving the Economy Forward, Lahore School of Economics Press, 2013. • “The Need for a Coordinated Industrial Strategy to Boost Pakistani Exports: Lessons from Asia,” with Gul Andaman in the Lahore Journal of Economics, Vol. 19 SE, 2014. • “Patronage in Rural Punjab: Evidence from a New Household Survey Dataset,” with Kate Vyborny in the Lahore Journal of Economics, Vol. 18 SE, 2013. • "A structural V AR analysis of the impact of macroeconomic shocks on Pakistan's textile exports," in Economic Modelling, 2013. • "The Political Economy of Income Comparisons and Economic Growth," in Economic Modelling, Vol. 31, 214-222, 20l3. • “The Birth of Exporters: Entry and Scale of Firms in Punjab’s Export Sectors,” with Marjan Nasir and Maryiam Haroon, in the Lahore Journal of Economics, Vol. 17 SE, 2012. • “Tariffs, Trade and Growth: Do Institutions Matter?” in the Lahore Journal of Economics, Vol. 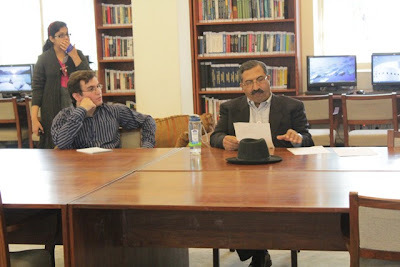 16, 2, 2011. 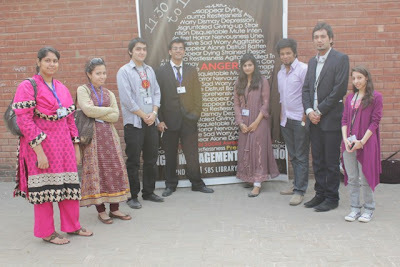 • “A Panel Data Analysis of Electricity Demand in Pakistan,” in the Lahore Journal of Economics, Special Edition, Vol. 15 SE, 2010. • “Total Factor Productivity Growth in Pakistan: An Analysis of the Agricultural and Manufacturing Sectors,” in the Lahore Journal of Economics, Vol. 14 SE, 2009. 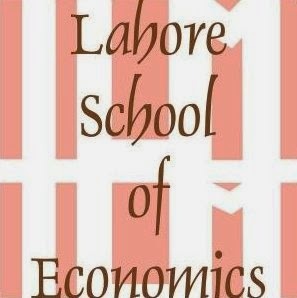 • “The Effects of Rising Food and Fuel Costs on Poverty in Pakistan,” with Theresa Thompson Chaudhry in the Lahore Journal of Economics, Vol. 13 SE, 2008. • “Do Governments Suppress Growth? Institutions, Rent-Seeking and Innovation Blocking in a Model of Schumpeterian Growth,” with Phillip Garner in Economics and Politics, 2007. • “Political Competition Between Countries and Economic Growth,” with Phillip Garner in Review of Development Economics, 2006. • “Corruption and Trade Liberalization: Has the World Bank Anti-Corruption Initiative Worked?” in the Lahore Journal of Economics, Vol. 10, 2, 2005. • “Survey of IFC Firms on Local MBA Quality,” World Bank Policy Research Working Paper Number 3182, World Bank, Washington D.C., 2004. • “Does Institutional Quality Affect the Success of Privatization Policies in Developing Countries?” with Phillip Garner, Manuscript, Brigham Young University, 2003. • “Procurement and the World Bank’s Anti-Corruption Initiatives,” Operations Evaluation Department Working Paper, World Bank, Washington D.C., 2000. • “A Review of the Country Assistance Strategies and FY98 Lending for the World Bank’s Anti-Corruption Strategy,” Operations Evaluation Department Working Paper, World Bank, Washington D.C., 1998. • Measuring the Barriers to Industrial Upgrading using Evidence from Pakistan with David Atkin, MIT, Amit K. Khandelwal, Columbia Graduate School of Business and Eric Verhoogen, Columbia University. • Measuring Innovation in the Textile Sector of Pakistan with Waqar Wadho, Lahore School of Economics. • Benchmarking of Productivity in Pakistan’s Readymade Garment Sector with Theresa Chaudhry, Lahore School of Economics. • Developing an Optimal Industrial Strategy in the Context of the China Pakistan Economic Corridor (CPEC) with Theresa Chaudhry, Lahore School of Economics, Maryiam Haroon, Lahore School of Economics and Nida Jamil, Lahore School of Economics. • Impact assessment of start-up loans to female run micro-enterprises with Farah Said, Lahore School of Economics, Naved Hamid, Lahore School of Economics, and Mahreen Mahmud, Oxford University. 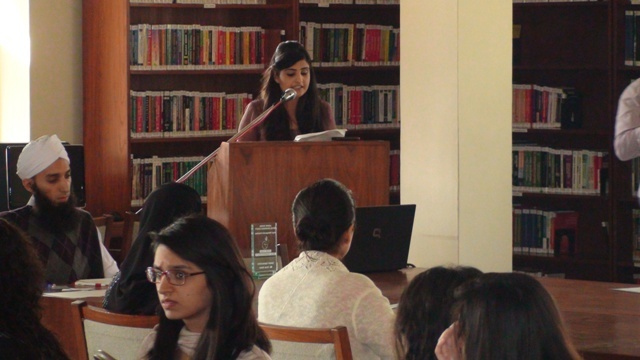 • How Network Centrality Affects Electoral Politics in Pakistan with Mahnoor Asif, Lahore School of Economics. • Measuring the effects of agglomeration on new firms in Punjab with Maryiam Haroon, Lahore School of Economics. • Spillovers in technology adoption: evidence from a randomized experiment in Pakistan with David Atkin, MIT, Amit K. Khandelwal, Columbia Graduate School of Business and Eric Verhoogen, Columbia University. • Patron-client relations in rural Punjab with Kate Vyborny, Duke University. • International Growth Center (DFID) for Research on Measuring Innovation in the Textile Sector. • Private Enterprise Development in Low Income Countries (PEDL) for Research on Barriers to Industrial Upgrading. • International Growth Center (DFID) Project Grant for Research on Technology Spillovers in Pakistani Manufacturing Sector. • British Academy Grant for Research on Patron Client Relations in Rural Punjab. 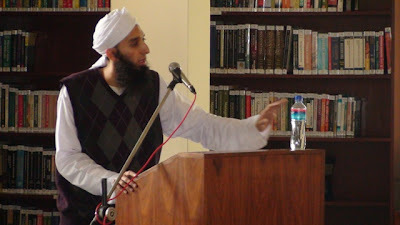 • Member of the Senate, Pakistan Institute of Development Economics, Islamabad, Pakistan. • Research Affiliate, International Growth Centre, DFID, UK.